If your idea of fun is heading off-road, powering though an epic mission or even just spending your time in the thick of the action, the Toyota Tacoma was made for people just like you. Long known as one of Toyota’s hardest working vehicles, the 2017 Tacoma takes its awe-inspiring capabilities to a whole new level. This is a brief look at just a few of the highlights of a ride you won’t soon forget. If you want or need a vehicle with plenty of power the 2017 Tacoma will not disappoint. Its 3.5L DOHC V6 engine generates 278 horsepower and 265 lb/ft. of torque and in a segment first, the new Tacoma also features Atkinson cycle technology, which means you’ll enjoy far more efficient combustion and therefore produce fewer harmful emissions as well. If you’ve got something large or heavy to tow, a capacity of up to 2,950kg has you covered, and most 4×4 models come with a 120 volt power outlet built directly into the cargo bed for keeping tools and toys powered up. Vehicle Stability Control and Traction Control come standard in every new Tacoma, so you will be hugging the road through every twist and turn and always in control. When you head off-road things only get better, as Toyota’s Multi-Terrain Select System lets you customize traction and control by choosing a setting to suit the surface you are dealing with. Gearing up for some particularly crazy conditions? Upgrade to the state-of-the-art Crawl Control System where all you have to do is focus on steering while your vehicle does the rest. While it will always be the performance of your truck that matters most, looks don’t hurt either, and the 2017 Tacoma combines modern refinement with a rugged personality like no other. Its sleek lines, athletic stance and aerodynamic design will be drawing eyes everywhere you go, and everyone from old school truck fanatics to your most fashion conscious friends will be more than impressed when they step inside. The 2017 Tacoma also comes in your choice of nine great colours, so you can be as bold as you dare; options include Inferno, Quicksand and Classic Black. 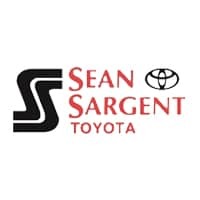 If you are looking for a vehicle that you can rely on to do just about anything, do yourself a favour and invest in a Toyota and you’ll find Western Canada’s best range of options right here at Sargent Toyota. Drop by and test drive something awesome today at 10625 117 Ave Grande Prairie.